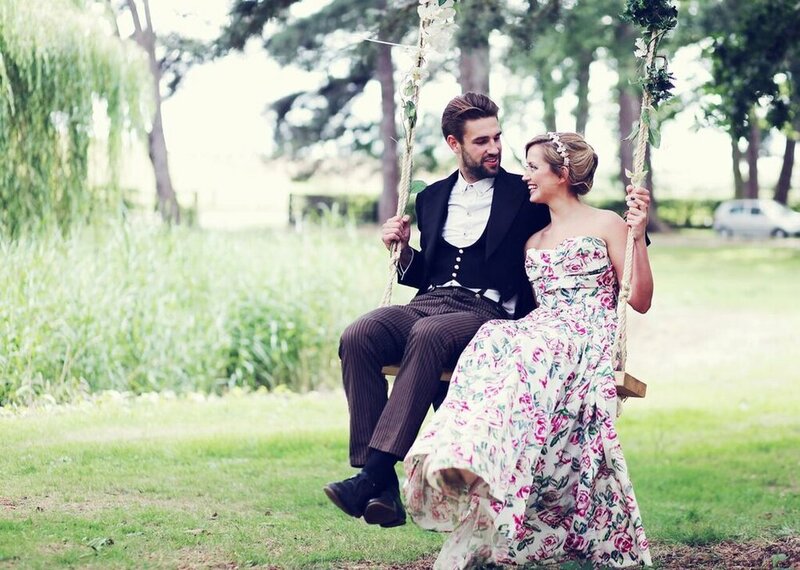 Set in 9 acres of whimsical woodland this is the perfect venue for your woodland wedding, festival or intimate gathering. With it's own pretty lake, bridged island and beautiful glamping accomodation, there is nothing more romantic than Happy Valley. Blessings can be set on our private island or amongst the trees for a truly magical setting and we have great flexibility on numbers and can recommend some wonderful vendors to assist with catering, flowers and decoration. We've added a dutch party barn to the venue for 2018 so there will be plenty of under cover space making Happy Valley perfect for all weathers. As you can see from the picture above, there's a large opening from the barn looking out over to the pond so you can enjoy the outside even if it is raining. Happy Valley is a stunning sanctuary for those wanting a wedding in the heart of nature. A venue where you can create the Wedding YOU want with few restrictions. We are looking at getting a Wedding License by Feb 2019. Happy Valley is usually hired for 3 days and 2 nights with all of the accommodation. Your guests can book this directly with us and we can then deduct it off the final bill. Extra Glamping/Camping can be added on top of the listed accomodation. Whether it's a hen weekend, family gathering or a laidback party with friends, Happy Valley is the perfect place to come together with the people you love. Our glamping accomodation can sleep 20+ across the site and we can help you with recommendations for catering and decoration where needed.